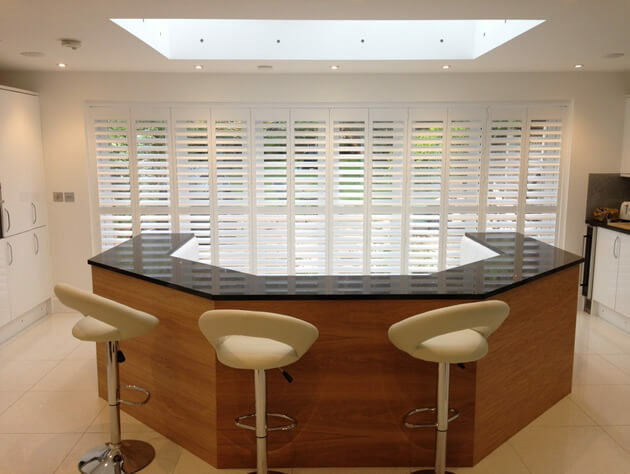 Shaun was recently in Caterham, Surrey to fit these amazing track system shutters for one of our customers. The client was looking to increase the privacy and security of the backdoors of the property, as well as enhancing the overall look and lighting of the room. 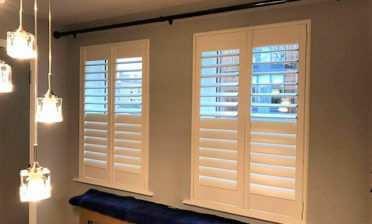 Using shutters from our Cuba Range we created these track system shutters which cover the whole area of the rooms doors. The strength and durability of Cuba shutters make them the ideal solution for covering this area and work perfectly in a track system setup. We use this kind of solution not just for door areas, but also large window areas. The shutters are created in a full height style using a mid-rail for further strengthening as well as allowing the homeowners to adjust the top and bottom louvre sections individually. 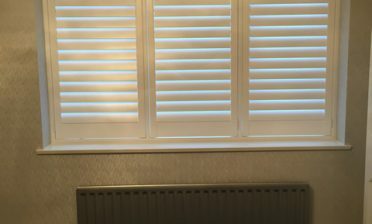 Hidden tilt rods have been used which mean that you can adjust the shutter louvres by touch, rather than having to use a visible rod on each panel. By touching one louvre, each louvre will move at the same angle on that panel using a hidden system concealed within the shutters. 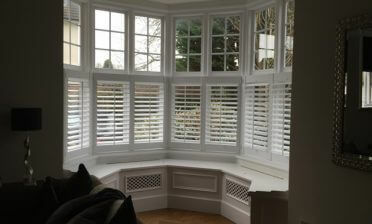 We finished these shutters in pure white with matching white hinges which suit the room and doors behind perfectly. Being on a track system, the shutters can fully slide out the way leaving full access to the doors behind and allowing maximum light to enter the entire room.